Protako is known as the finest manufacturer of graphite fishing rods throughout Asia. Protako makes fishing rods with the name brand "Protako", "Pro" and "Excellent" or "EX" brand. The Protako manufacturing plant is relatively small, so orders for Protako rods are limited to a few hundred maximum as opposed to other manufacturers with much larger capacity. Protako currently exports to Japan and Europe and it's manufacturing capabilities are growing. SaltWater FISHING! is very pleased to announce that we are now wholesale distributors for Protako rods in the United States. We will distribute any of the Protako products to bona fide retailers in the United States. We now know the Protako telescoping casting rods will be very popular in the United States owing to their light weight, quality 99% graphite construction and telescoping compact storage and ease of transporting. We know this because we recently tried them. In Florida, during March, 1999, we tested the 5.1 meter Lasser and the 6.4 meter P.R.O model. 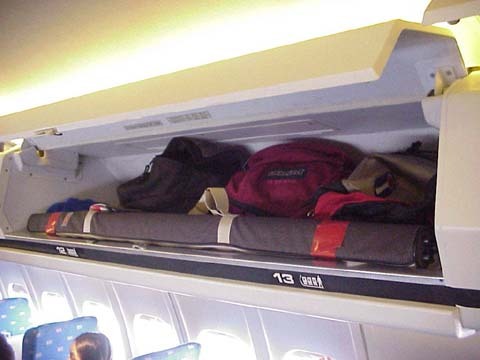 Both rods come with nice cases and fit into the overhead bin of the American Airlines MD-80. On the beach, our casts were much further than anyone else owing to the long length yet light weight of the rods. The length of the 21 foot (6.4 meter) rod gathered a crowd of onlookers each place we fished not only because of the length of the rod but because we were the only ones catching fish! We showed the rods to a couple of tackle shops down there and got immediate interest. Look for us showing these rods at the ASA Sportsfishing Show in Chicago, July 9-11, booth 1046. 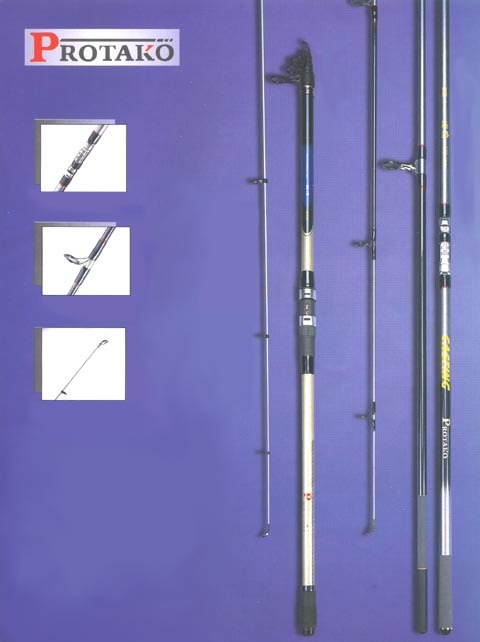 If your tackle shop does not carry these rods, please direct them to this web page in order to make contact with us. Protako can also reproduce any product to your specification with your label. Limited numbers of samples are available for serious inquiries only. Here is an opportunity to put your logo on the finest graphite fishing rods made. If you are a bona fide fishing tackle retailer, please feel free to contact us to receive a Protako catalogue, pricing and/or to place your orders.